This Mario Maurer movie page contains 9 records. 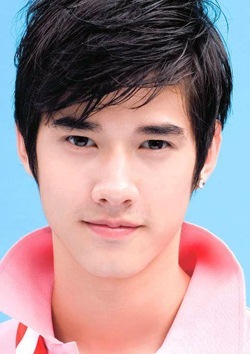 While Phi Mak (Mario Maurer) is fighting as a soldier, his wife Nak dies during advanced pregnancy. Phi Mak is back with his four friends to Phra Khanong area. Mak doesn't know his wife is dead, neither his friends. People in the market refuses to sell to Mak anything. His friends understand the villagers are afraid of Nak, who is now a ghost. One of the friends, Chin, sees Nak extending her arm to catch a lemon fallen from the kitchen located on the first floor of the house. Mak's friends are trying to find stratagems to inform him without raising attention from Nak. Villagers who warned Mak are found dead. Upset by his friends behavior towards Nak, Mak is chasing them away. Friends want Mak to be aware. The four friends get confused and believe Mak is the ghost (ผี) and Nak is still an human. Finally realising their mistake, they end up in a Thai Buddhist temple but the monk is unable to protect them. Finally love is stronger (รักพี่มากมากๆ รักนากหนัก). Nak did nothing wrong as she just wants to stay with Mak but everybody tries to break their love. Nak and Mak stay together despite death showing that their love is stronger (รักไม่ธรรมดา). Thai movie Phi Mak (พี่มาก..พระโขนง) is a mix of light scary sequences, romance and comedy. It got the highest revenue in Thai movies history with more than 800M bath so making it the most ever popular Thai movie. It was even released in other Asian countries such as Hong Kong or Macau. Despite having been released for 15 times already, this new 2013 version features modern jokes, Mak as central character instead of Nak, Nak not being an evil spirit and a different ending. It is done as a movie for the whole family. The ending is more surprising and more romantic than the previous versions. Normally ghosts and humans cannot stay together so a monk always convinced Nak to rebirth in another life. Past reconstitution includes black teeth for actors. Thai movie บางกอกกังฟู / Bangkok Kung Fu / Bangkok Assassins lasts 1h40mn and was released in year 2011. Child trafficking happens and some children are used as beggar. As children rebel, one of them is made blind (ตาบอด), another gets his tongue cut, another one becomes retarded as his head is hit severely, one of them is made deaf. An old Chinese man (อาจารย์) helps them to flee. 15 years have passed. They took refuge in Wat Tham Seua in Kanchanaburi. Pong (Arak Amornsupasiri), who is mute (ใบ้), left them 3 years ago. He is now a hitman. He has a girlfriend but Pong cannot speak properly as his tongue was cut. Kaya, rescued before by the teacher, still loves Pong since childhood but this love is not reciprocal. Some ruffians are looking to take revenge over the Chinese master. Jit is blind but he is a serious fighter as all of them have been trained by the Chinese master. Even Na (Mario Maurer) wishes to be trained but the master is reluctant as he is afraid he will not be able to master his skills as he is retarded. The teacher is killed by a mysterious man wearing a monkey mask. Na is hurt also. All of them wish to revenge their master (รังแกอาจารย์). They finally find the thugs, who are using children as beggars, and kill them. Meanwhile the ruffians’ leader captures Kaya and plans to eat her heart to get her special power transmitted by the Chinese master. The four friends succeed to defeat the ruffians’ leader but Jit loses their life.